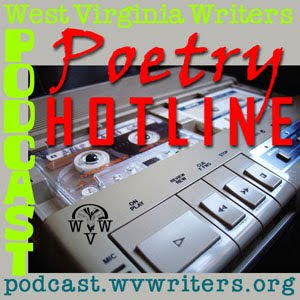 In honor of April being National Poetry Month, today's podcast is a listener generated one usign poems gathered via our Podcast Poetry Hotline. We asked listeners to voicemail us some poetry and voicemail it they did. Featured on the show today are Debbie Richard, Twyla Vincent, Dreama Frisk, as well as previous podcast guests Tim Armentrout, Pam Hanson and Salvatore Buttaci. We also have a couple of major announcements at the start of the show regarding the 2011 Summer Conference. In honor of April being National Poetry Month, today's podcast is another recorded live poetry reading, this one captured at the Princeton Public Library in down town Princeton, WV. 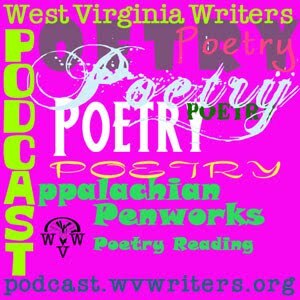 The poets featured are all members of the Appalachian Penworks writers group. Featured poets include Raymond Neely, Ashleigh Gill, Salvatore Buttaci, Beth and Steve Godfrey, and Rob Merritt. In honor of April being National Poetry Month, today's podcast features a recorded live poetry reading from Raleigh County Library's poetry reading in March. Featured poets include Sammye Lewis, Sue Atkinson, Kitty Mooney, Miles Dean and Rebecca Dean. The evening was also hosted by Rebecca Dean. Apologies must go out to Danny McMillion and Sammye Lewis. Due to technical difficulties, The poem Danny read was not recorded, nor was Sammye's first poem of her set. We'll have them back on future podcasts to rectify this. 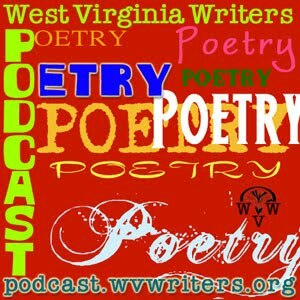 Shirley Young Campbell, who is mentioned in this podcast, was the mother of West Virginia Writers, Inc. and we featured a tribute show to her for Episode 16.